The bike-building scene in Spain is absolutely booming, and I’ve no idea why. We have the specialists—like Radical Ducati—and the new wave custom shops, like Café Racer Dreams. 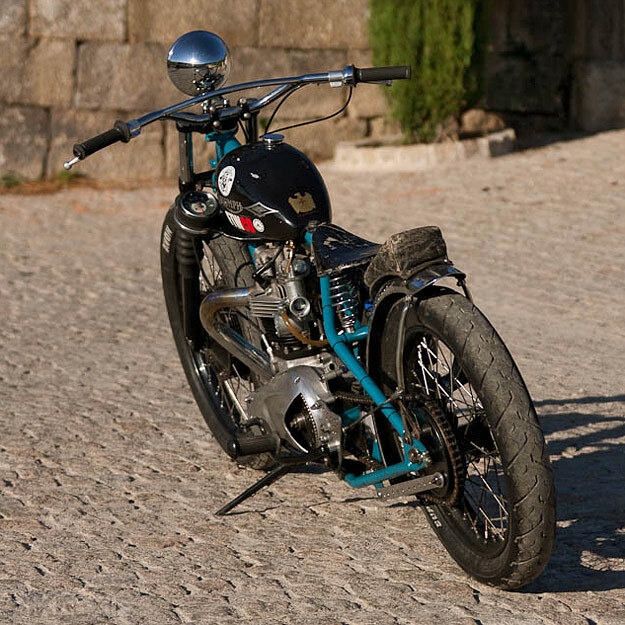 Now we have El Solitario MC, based in the Galician town of Gondomar and run by vintage motorcycle racer David Borras. It’s hard to categorize this shop, but it’s run on enthusiasm and skill, without being tied to any particular style. 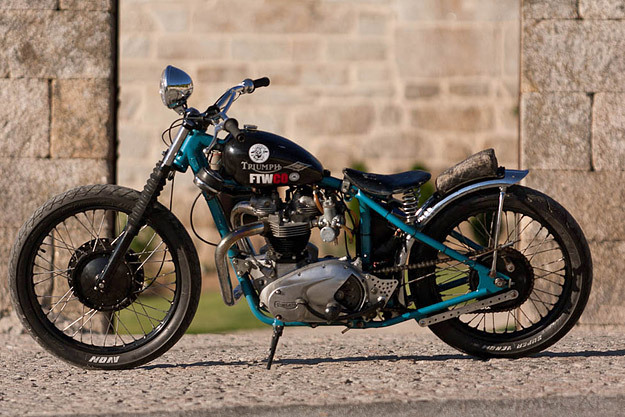 This distinctive, heavily patina’d machine is the first creation, a matching numbers Triumph T120R that’s had a complete motor rebuild and been fitted with a hardtail frame. 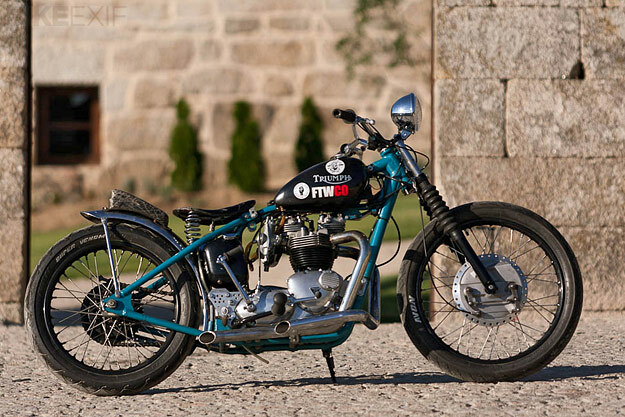 The rims are Borrani—19” rear and 21” front—with a 1971 Triumph twin leading shoe drum up front and race tires. Carburetion is twin Amal monobloc, and David has also fitted a QPD open belt drive and Boyer Bransden ignition. 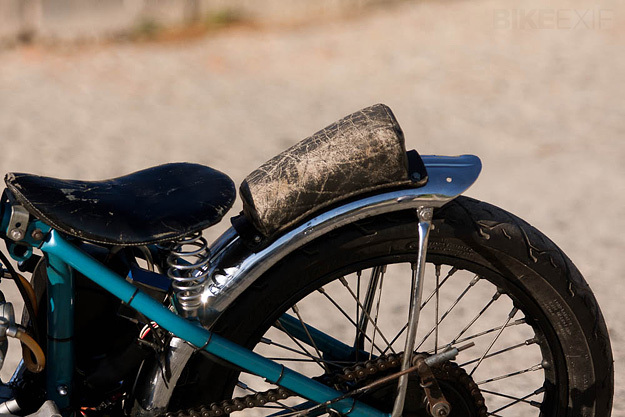 The tank and rear fender are classic Wassell. 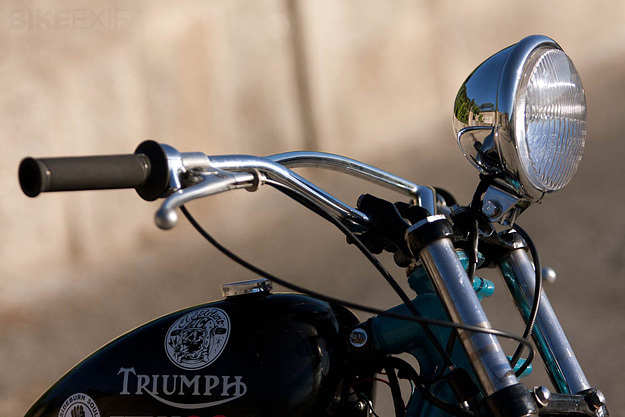 Images courtesy of Vincent Prat, Southsiders MC.